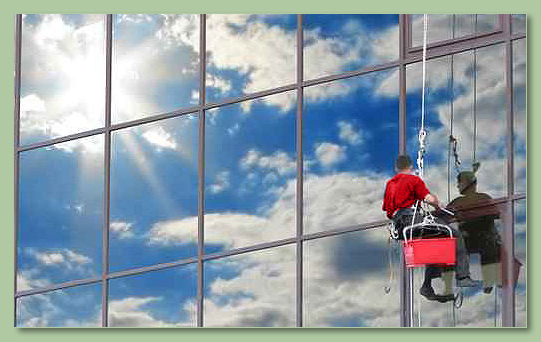 Zen Masters Window Cleaning Inc.
Our professional equipment widely ranges from step and extention ladders with water fed poles to bosum chairs, roof rollers, boom lifts, and highly specialized scaffolding equipment. Everything is ANSI and OSHA approved, providing for the safety of our employees and peace of mind to our clients. Our employees are covered under Liability Insurance and Workman's Compensation. With the use of bio-clean products we can effectively remove water and mineral stains, rust, tree sap, paint overspray, soap scum, and mildew from window glass, shower doors and other surfaces such as window frames. We are experts in restoring glass to look like new.